Our Champions There are 36 horses. First son of Aljaïma de Bozouls ****, Al Jaïmie de Bozouls has a 125 and *** performance index. 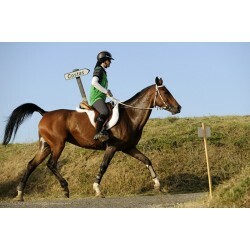 In 2009, he won the CEI** at Monpazier under the saddle of Barbara Lissarague and placed in CEI*** in Barcelona. 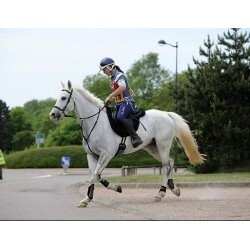 In 2010, he finished 2nd at the CEIOYJ in Compiegne and is the European Young Rider Champion in Team. 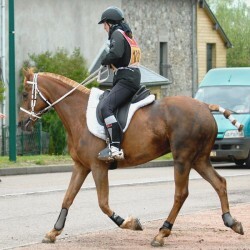 Filly of Prim de Syrah **** and Raïcha ****, Aïcha de Bozouls is a tonic mare who ranked several times in National ** events. She is indexed DRE***. Djerfo de Bozouls is a flat race winner. 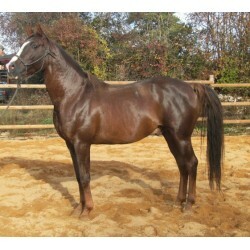 He is a grandson of Dormane **** by his sire Jormane de Rouaisse. Over only three race seasons, he recorded a remarkable ranking: 1 starts, 2 wins and 10 places. Sold and exported to morocco in 2015. 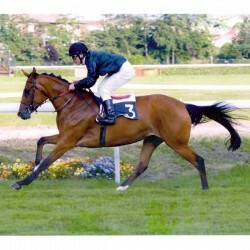 Diaf de Bozouls is a son of Diaf** and Raïcha***, he is indexed 134 and *** on performances. Stallion born at the stud, Guardor de Bozouls combines his sire's bloodlines, Dormane, and Chéri Bibi's by his dam Guarda d'Espiens, broodmare at the stud. 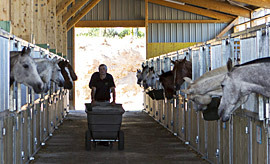 Injured in 2006, Guardor shortened his glorious flat race career and is dedicated to breeding at the stud farm. He is indexed *** on progeny. Guardio de Bozouls is a son of Faouzi*** (Manganate) and Guardiola de Bozouls*** (Rim*** x Guarda d’Espiens***). Guardio de Bozouls qualified several times on CEI*, CEI** and CEI***. Sold and exported to the UAE. Filly of the great Dormane**** and Udjella**** (Djourman x Meduse), Udjidor de Bozouls is born threw champions lineage and has an impressive flat race track record in France and abroad. 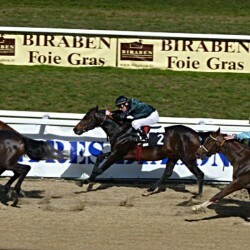 Filly of Dormane**** and Djourba de Bozouls (Prim de Syrah**** x Djerba de Bozouls****), Djourfée de Bozouls competed successfully in flat races. Now broodmare at the stud. Lili Ankh is a son of Dormane**** and Djerba de Bozouls****. 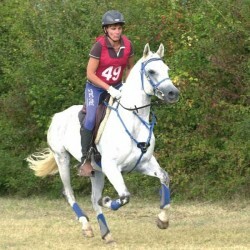 After a brilliant endurance career, as he is indexed IRE** on performance, with under his belt several CEI** qualification, Lili Ankh is now retired. 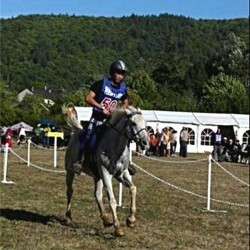 In 2009, Djour de Bozouls was selected in the endurance French National Team. He raced 7 races indexed ** and ***, in which important ones, where he has always been ranked.